Joe Happe - Mediator based in Des Moines, Iowa. Please click your preferred available date to submit a request. Your Appointment Form will be sent to Joe's assistant, Catie Rayburn. Joe Happe is a full time mediator-attorney at the Davis Brown Law Firm. Prior to becoming a mediator, Joe's litigation practice was focused on general negligence cases, construction defect and design cases, professional negligence, fire causation, and insurance law. He has significant experience in products liability cases, dramshop, agricultural cases, premises liability, death cases, personal injury cases, asbestos/mass tort litigation, and complex workers’ compensation. On occasion, he has handled consumer fraud defense, medical device, employment, railroad FELA, defamation and a wide range of other cases. 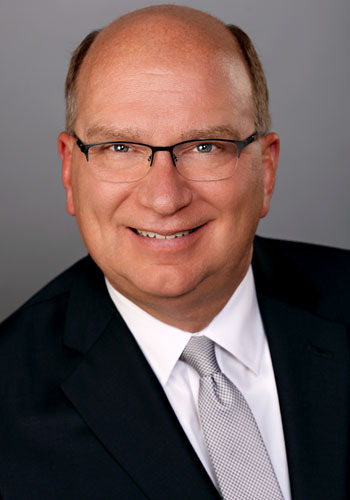 Joe Happe is a fellow of the prestigious Iowa Academy of Trial Lawyers, whose membership is limited to 250 attorneys who have displayed exceptional skills and the highest integrity. He is rated "AV" by the Martindale Hubbell Peer Review. Litigants mediating a case don't want a mere messenger, they want a mediator with a plan. Developing a plan takes subject matter experience and with 33 years of litigation experience, Joe has the background and knowledge to come up with a flexible, active and aggressive plan to settle your case. Joe Happe is a seasoned litigator with experience in nearly 100 jury trials and many workers compensation hearings. He trained as a mediator in 2001 and has mediated over 200 cases. Now as a mediator, Joe offers an aggressive and involved form of mediation services using the latest and most effective form of mediation to conclude a settlement in even the most complex cases. Cases mediated have included district court cases of all kinds: personal injury, motor vehicle accidents, discrimination, employment, products liability, construction cases (including construction defect, design defect and construction delay), professional liability (medical, legal and accounting) and fire cause and origin cases. With his background in workers’ compensation mediation, he has mediated mediated workers’ compensation cases, involving settlement of a related third-party district court matter. Joe is available for mediations outside of Iowa and he has a growing regional practice, especially in the construction litigation area. American Association of ADR Attorneys (Board Certified) **The Iowa Supreme Court does not certify lawyers as specialists in the practice of law and certification is not required. Hourly rates are $285.00 per hour for preparation and mediation sessions. Travel time is billed at $100 per hour, and mileage, airline fees and hotel expenses may apply. No administrative fee, cancellation fee or hourly minimums are charged. Different hourly rates for multi-party or multi-day mediations may apply on a case by case basis.